We are stunned when we see such an old-world art reinterpreted in an unforeseen way. 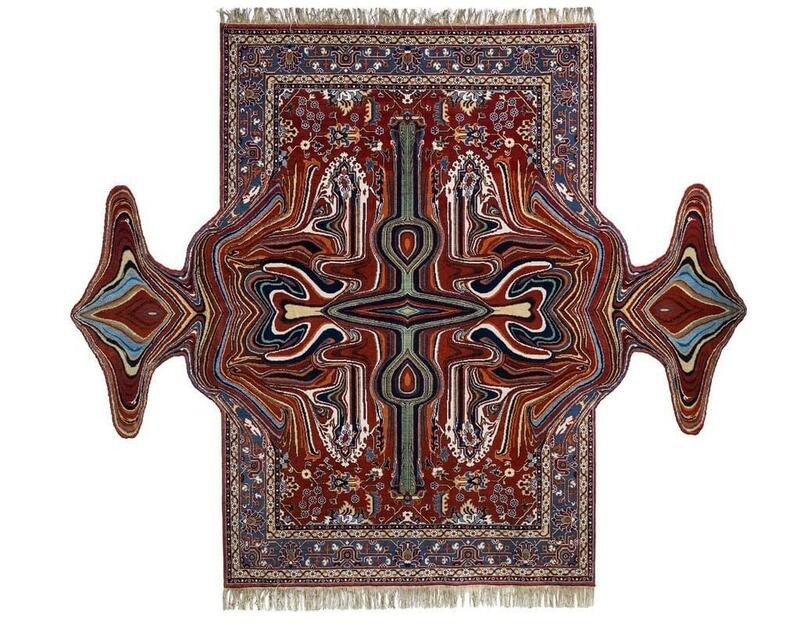 Faig Ahmed has become known around the world in recent years for his interpretations of ancient carpet designs; his study of pre-historic petroglyphs initially piqued his interest deciphering the messages that rug motifs conveyed. Today, Ahmed is the artist behind the astounding works comprising the Source Code exhibition, all of which were created using age-old weaving techniques on a traditional loom. The visual results are unimaginable rugs that drip down or part across walls, as well as the depiction of various digital disruptions like pixelation. Keep your eyes peeled for Ahmed’s art and the Source Code exhibition in a city near you. The rugs have already been shown at the Museum of Fine Art Boston, Museum of Contemporary Art in Cleavelent, Museum of Old and New Art in Tasmania and at Sapar Contemporary in New York City.